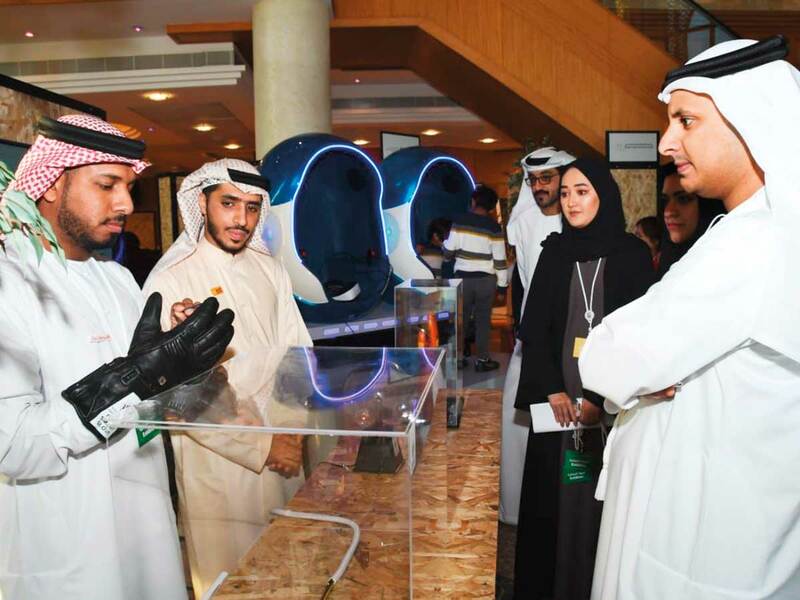 Sharjah: Sharjah Electricity and Water Authority’s (Sewa) Smart Glove is now a patented invention. The Smart Glove was invented to provide security and safety while dealing with the power cables. It was done by Sewa in cooperation with Takamul Programme, run by the Abu Dhabi Department of Economic Development. Sewa on Monday announced that it has obtained the international patent on the invention. Dr. Engineer Rashid Al Leem, Chairman of Sewa, said adopting the creativity and applying it on the authority come in line with the directives of His Highness Dr Shaikh Sultan Bin Mohammad Al Qasimi, Supreme Council Member and Ruler of Sharjah, that aims to develop the talents and achieve the best services to the public. Hamda Ahmad Bu Kalah, Director of Innovation Office at Sewa, said the new innovation is a glove made professionally by Sewa Innovation Team to confront the electrical shock that might face the engineers and workers.